Redland Property Services - Fascia/Soffits/Guttering, Roofer, Windows/Doors/Conservatories based in Wentloog Road, Caerdydd. 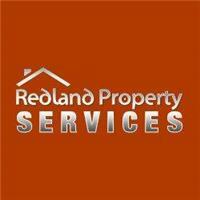 Hi I am Johnny from Redland Property Services. Being a local roofer for such a long time, I have built up a knowledge of knowing what the customer wants and therefore will provide a good job for a fair price. I am reliable and will provide a free, no obligation estimate, no payment up front will be required and I strive for a 100% customer satisfaction. We are proud of the reputation we have built and will go out of our way to meet your individual needs. I look forward to hearing from you and Thank you for taking the time to look at my profile.